When one thinks about the App Store or Wii gaming library, some pretty amazing games come to mind. From Super Mario Galaxy and Metroid Prime 3: Corruption, to Hearthstone and Infinity Blade, both devices have proven themselves capable of delivering experiences worth recommending. This is really typical of the internet, and it’s no different when it comes to learning resources. With so much low-quality content out there, finding good, trustworthy resources can be a real challenge sometimes. It’s no surprise that the people behind Game Developer’s Conference, the world’s biggest game industry event for professionals, also provides an amazing collection of resources. From game design tips and technical guides, to inspirational talks from some of the most influential figures in the gaming industry, there’s no shortage of content on this site no matter what how you’re involved in game development. If you also prefer getting valuable info in a form other than text, look no further. According to the site there are more than eight thousand audio files, videos, and synced presentations spanning thousands of hours. They are notably all chosen by the GDC advisory board, which means you’re only getting the best talks and guides. New content is also released on a weekly basis, which means you can keep learning from the latest talks in this fast-paced industry of ours. Founded in 1997, Gamasutra has since then served as one of the best online sources for all things video game development. This site is especially useful for developers, both new and veteran, because it not only offers learning resources but also other useful content. This includes a great “News” section where you’ll find the latest gaming news, blogs, industry articles, and more. The “Jobs/Resume” section on this site is also one of the best collections of positions currently open at game companies and studios across the globe. Gamasutra also does a good job of providing postmortems and other published work by developers detailing their experience while working on their project. This includes blogs where users can share their thoughts and opinions on different gaming topics, be it criticism on crunching, a controversial issue in the industry, and more. All in all, you’ll be hard-pressed to find as good an online resource as Gamasutra that provides the same variety of news and information. 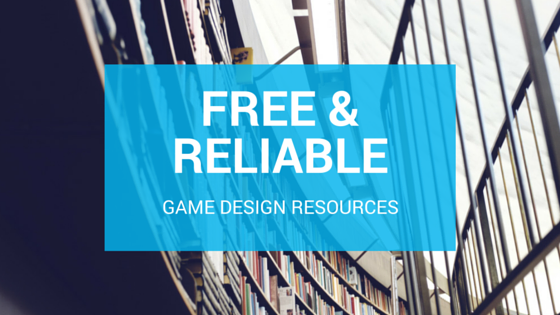 Although anyone can benefit from this treasure trove of content, indie gamers may find it the most useful. Pixel Prospector has dedicated itself to helping independent gamers who, whether they received some form of game development education or not, are hungry for information that will help them make their dream project not only come true, but actually succeed. In a sea of sites who offer resources, but are also covered with ads and affiliate links, it’s also great knowing that Pixel Prospector is non-commercial. In other words, they’re willing to help aspiring game developers even if they don’t get a single dime for it. Here you’ll find a great list of categorized resources, allowing you to find the perfect guides just for you. This also includes videos in different languages, in-depth tutorials, and lists of recommended graphics programs, software tools, and more. And while the game development, graphics, and other sections are great, it’s the marketing guides you’ll definitely want to look into. It’ll help you realize just how much more work you have ahead of you, even when your game is completed, if you want the game to be a commercial hit.